You are here: Home / School Resources for Teachers / So You Want to Be a K-12 Teacher? So You Want to Be a K-12 Teacher? The task of a k-12 teacher is equally interesting and challenging. A k-12 teacher has to have enough patience to listen to the students individually and manage the classroom decorum without being rude to the inattentive students. But at the same time, the reward that is achieved during the interaction with a bunch of vibrantly colored flowers, which are all different from each other, cannot be found in any other occupation. As the k-12 motto for the teachers goes like “get students into learning and learning gets into them”, it is an all time challenge for a teacher that no two students are the same in the classroom. Therefore, it is the primary expectation from the k-12 teacher to give individual attention to all the students in the classroom and help the lagging student to bring at par with the rest of the class. 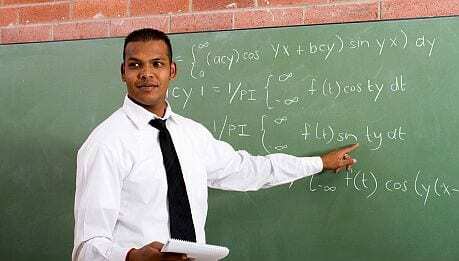 If you want to see yourself as a trained k-12 teacher, always keep in mind that your responsibility would be to show the students the potential of interesting career growth and overall development. This aspect of individual attention to every learner and taking care of all their queries and doubts is difficult without a low student-teacher ratio. A k-12 teacher has also to be a subject-master to convey the message to the students that whenever they would face a critical situation on the way to their substantial development, they will find their teacher at their immediate rescue. A k-12 teacher will have the compelling drive to help the students do better by bringing considerable changes in them. They will inculcate the passion for education within the students without burying them under the books. K-12 teaching positions also include comprehensive health benefits, various income protection plans, retirement savings plans, pre-tax benefits and work/life balance programs. These benefits rarely matched by other occupations supplement the reward of teaching.